Cornerstone B&B AgroBnB - Opened in 2004, our unique AgroBnB has become a favorite. We offer many family-centered packages with on-site amenities that are both educational and fun! Owen Farm Cabin - Owen Farm has been providing high-quality service since we opened our doors in 2003 and now we are proud to share with you our new Wedding and Event Barn "Own Farm Loft". White Flint Farm - Want to get away from it all? To step back in time to when things were simpler? Want peace and quiet and a way to disconnect? Then come stay at The Old House at White Flint Farm! Keats Point Agro Cabins - Come and enjoy a stay with us at Keats Point Farm on Kerr Lake. We have 2 vacation rentals: the rustic Log Cabin and the Packhouse cottage. Shangrila Guest Ranch - The Old Home Place was built in 1801. It has 3 brs, one with a queen bed, one with a full bed, and one with two twin beds. It also has a kitchen and living room with fireplace. 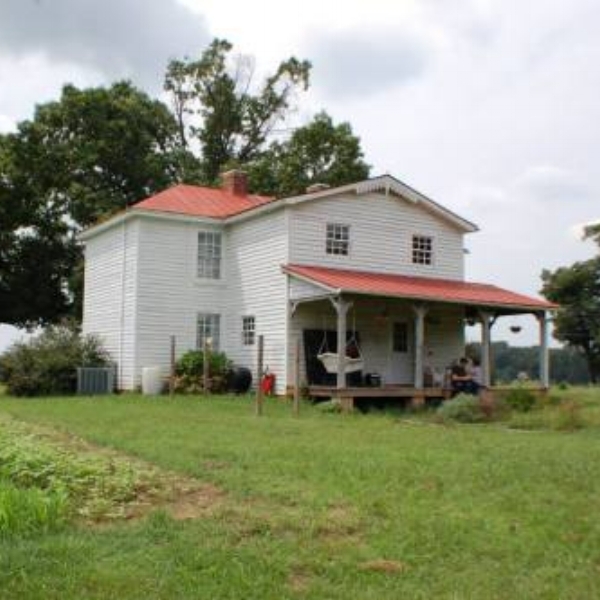 Wolf Creek Farm B&B - We invite you to visit Wolf Creek Farm, a private mountain retreat close to the Blue Ridge Parkway and only minutes from Mt. Airy. Leave behind the fast pace and relax with nature.